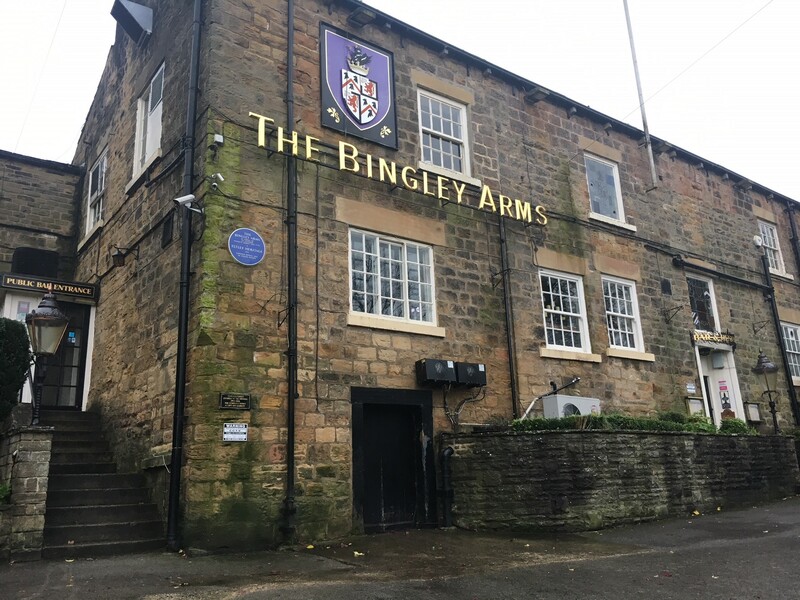 For reasons which will soon become glaringly obvious, The Bingley Arms, West Yorkshire, was formerly known as The Priests Inn, and has been recognised as the UK’s oldest pub by the Guinness Book of World Records. Reputedly dating back to 905AD, this fine establishment was around during the time of the Vikings and predates the first English King! It was used by monks as a rest stop when travelling between Kirkstall Abbey in Leeds and St Mary’s Abbey in York. It is rumoured that at one time a passageway connected the inn to the Parish Church of All Hallows, erected in 950AD and standing just a few yards away. From 1000AD, The Priests Inn served as the venue for local court proceedings, seeing offenders taken to the pillory outside the church to receive punishment. However, a little over 500 years later when King Henry VIII ordered the Dissolution of the Monasteries, the inn became a place of refuge for the persecuted Catholic priests. This was confirmed in the 1700’s when 2 priest holes were uncovered during alterations to the central part of the premises. They can still be seen within the large Inglenook fireplace. The inn was taken over in 1780 by Lord Bingley, then becoming The Bingley Arms and remaining to this day. Little of the interior has changed over the years, and while you’re not likely to find any stowaway clergymen in the chimney; stone walls, dark wood panels and a Dutch oven, also unearthed in the fireplace, help the pub maintain much of its traditional charm. 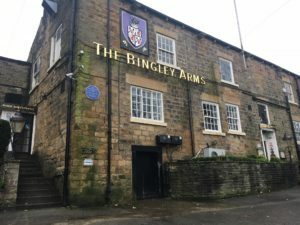 So, while one or two other pubs may have grounds to dispute The Bingley’s title, I reckon any pub that has survived several centuries, two world wars, and UK beer duty has earned itself a visit. You can check out some of Britain’s other ancient inns by clicking here.